Happy Hour also includes $2 off glasses of wine; $1 off beers; $3 house liquor; $5 house cocktail’s; and ½ off paella. Be sure to stop by for drinks with friends and don’t forget to try their famous Paella and delicious tapas. 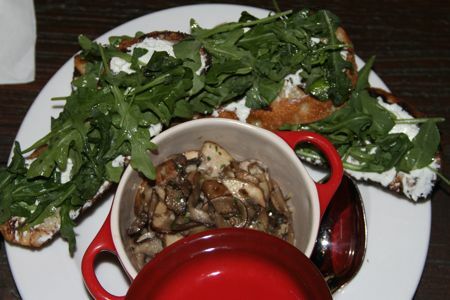 Order up a dish of their Garlic Mushrooms with Goat Cheese, Arugula, and Bruschetta, or share their Patatas Bravas- Heirloom Potatoes served in a Spicy Tomato Sauce. Barsa is located at 58 Line Street in the Upper King Design District. Drop in, or for reservations, call 843-577-5393. Barsa- it’s where the locals go.